Two handsome Art Deco specimens from out west. 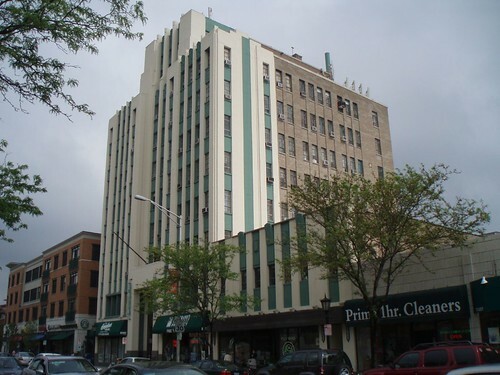 715 Lake Street is hard to miss if you’ve visited Oak Park; it’s a rare tall building in a low-rise suburb. 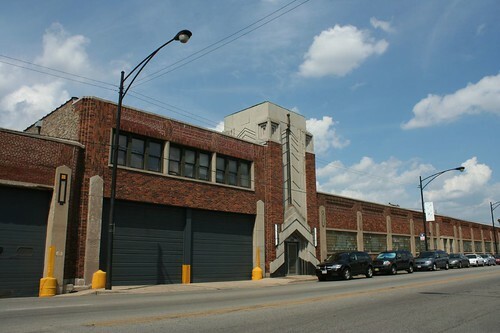 Architect Roy J. Hotchkiss designed the Deco/Nouveau skyscraper near the end of a highly productive career, in 1929; still in use as office space, it’s a contributing member of a National Register district. It’s also quite dramatically illuminated at night. O & G Spring and Wire Forms Specialty Company occupies this low, long factory building, the front facade of a fairly large complex. 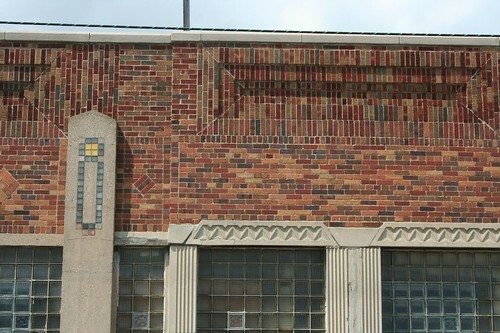 The factory’s entire facade is nicely decorated with mosaic tile and brick patterns, but it’s the entry tower that makes you swerve to the side of the road for a longer look. Hey…. 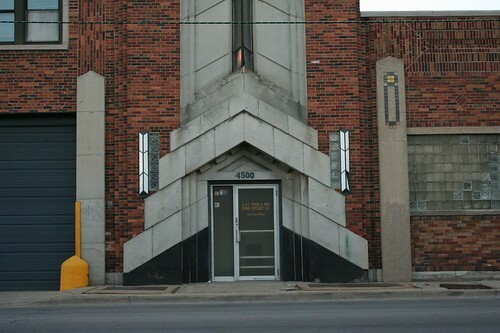 aren’t those the same wall sconces as the Medical Arts Building? 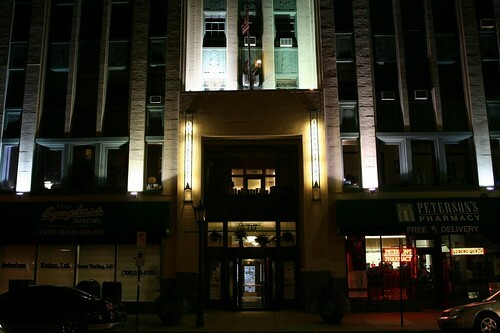 O & G was founded in 1966 by a Polish immigrant and employs about 75 people today. The company made unfortunate headlines in 2008, when a supervisor shot and killed an employee after a quarrel. 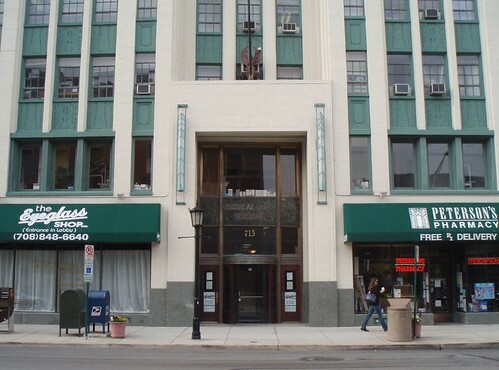 The Tribune library archives are not working correctly, or I might have more info on the building itself. But maybe it’s enough to just bask in its geometric glory. 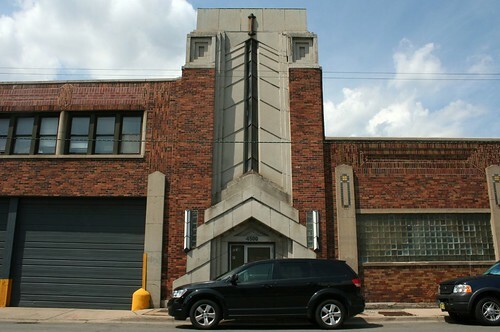 This entry was posted in Art Deco. Bookmark the permalink. ← Friday Photo Special: The LATE Ride rides again! That factory is heart-stoppingly beautiful.